All in all, things are looking pretty good for Spider-Man: Homecoming. Tom Holland comes at the webslinger having already proved himself in Captain America: Civil War and a steady stream of stylish one-sheets and fun trailers have successfully stoked hype around the film. But it looks as if Spider-Man’s marketing hot streak has come to an end now with this awful blancmange of floating heads that we’ve embedded for you down below. Seriously Marvel, what’s going on here? On a design level, this is pretty much ‘baby’s first floating heads poster,’ with the cast confusingly jammed together without rhyme or reason. What on earth is with the tiny electric man emerging from the side of Michael Keaton’s head, or the bizarre insertion of the Washington Monument in the lower right corner? It even goes for the tired old “chuck a bunch of sparks on the poster for no good reason” move. 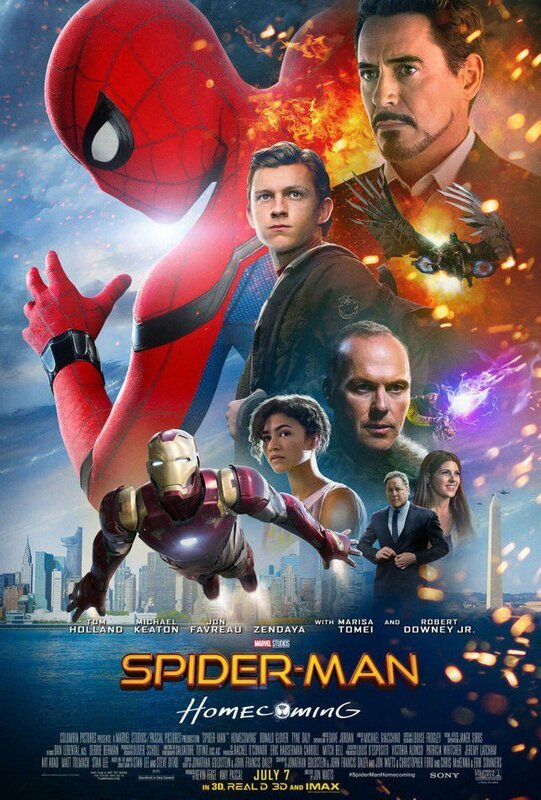 Quite frankly, it looks like the cover of a bootleg DVD, and judging by the crappy Photoshop lasso job done around Tom Holland’s ears, I’m willing to wager no design professional worked on this. Then again, it’s the only Marvel poster to date to feature Jon Favreau’s Happy Hogan, so we should be thankful for that, at the very least. Disney/Marvel, I’m willing to let this slide, as previous posters have all been outright excellent, but whoever gave the thumbs up to this design atrocity needs an urgent trip to the optician.